Once again, Chairman Meow finds himself at odds with the scientific community. Why, you ask? 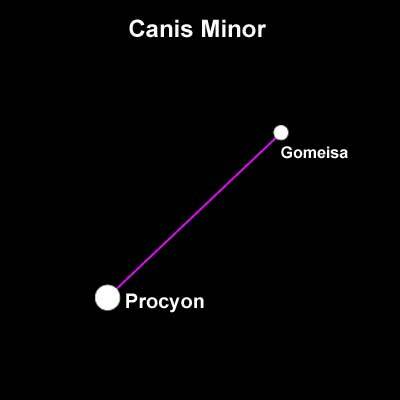 The elites would have us believe that Canis Minor is a legitimate constellation that resembles a dog, but I dissent. Gather around, my students, and let Chairman Meow educate you on the most disgraceful “constellation” in the sky, and why it must be boycotted. Or, should I say, “HIS” story. Lesser dog? 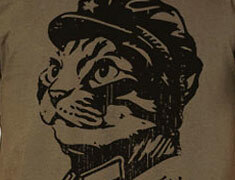 Chairman Meow couldn’t agree more. It is truly a “lesser” constellation. 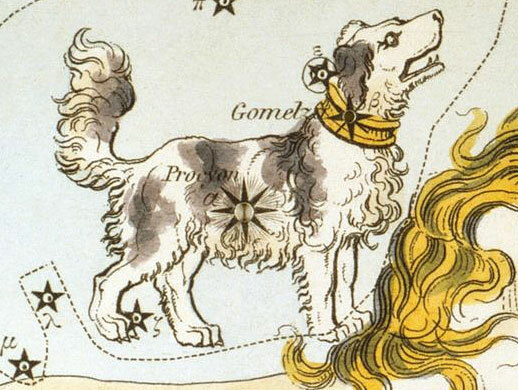 You see, this inferior constellation, consists of only two stars, yet supposedly resembles a dog, according to Ptolemy, and so-called “astronomy” books have perpetuated this lie for centuries. Would you like to see Canis Minor for yourself? As you can see, Canis Minor is a poor excuse for a constellation. Chairman Meow believes that when Ptolemy connected these two stars and saw a dog, he was either disseminating fake news, or smoking something a lot stronger than catnip. Not convinced those dots look like a dog? Fancy drawing, but Chairman Meow is still not buying it. As if believeing that two connected dots can resemble a dog isn’t crazy enough, let us examine Canis Minor together with its neighboring constellation, Monoceros. I refuse to accept this foolishness. I’m sorry, but Chairman Meow will NOT accept this fraudulent constellation, but he will “connect the dots” for his followers. Consider that Canis minor somehow survived through the millennia, while reasonable constellations like Felis the Cat were unfairly lost to history. Does that seem fair, or perhaps the deck is stacked against us? 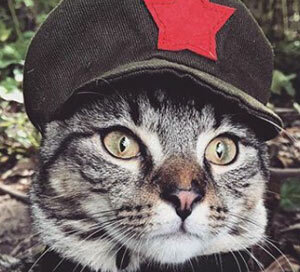 Chairman Meow is an open-minded cat, but there are some things that cannot be forgiven. These things include 11 inch hoagies marketed as being “foot long,” and stupid dog constellations made of two stars. 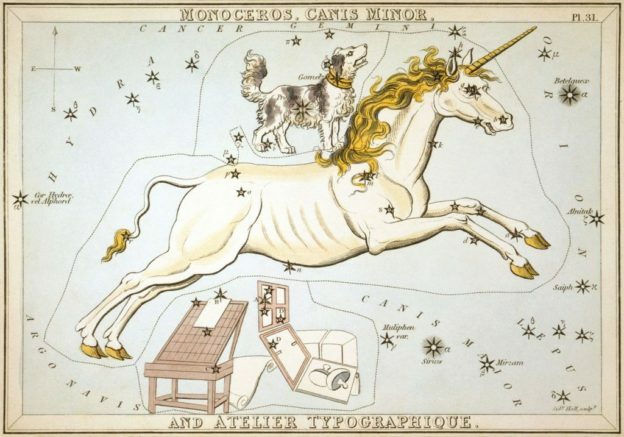 Chairman Meow must ask his followers to boycott this ridiculous dog “constellation,” as well as the two offending stars, Procyon and Gomeisa that Canis Minor is comprised of. If you do gaze skyward in the Northern Hemisphere at night, please divert your eyes from these two charlatan stars. Yes, go ahead and shun them like you are Jim Bob Duggar and they are your promiscuous daughters, strutting around town wearing sleeveless-shirts. We shall never speak of Canis Minor again. This entry was posted in chairman meow wisdom and tagged astrology, astronomy, canis minor, chairman meow wisdom, constellation, fake news, funny on July 14, 2017 by admin.